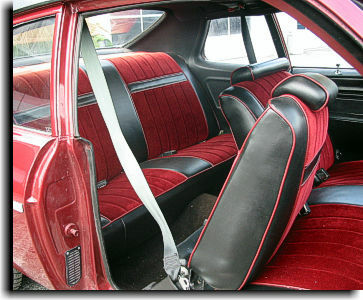 This Nova is owned by Mr. 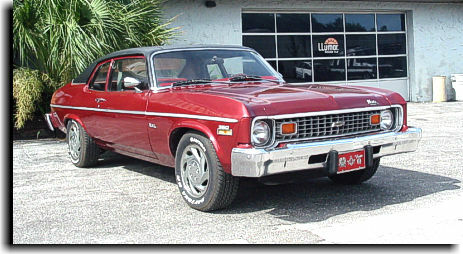 Buddy Bass of Land O Lakes Florida. 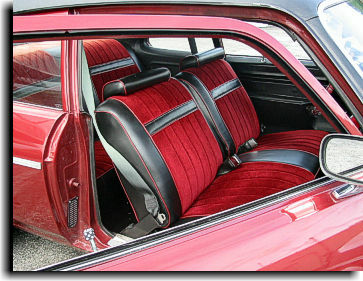 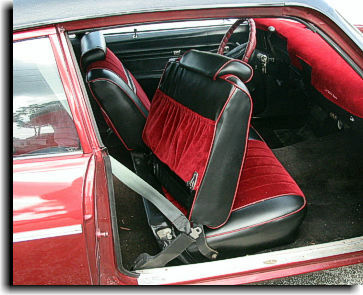 This shows how nice a two-toned effect on the seat covers Catalina Custom built, can look in a car when the colors are coordinated properly with the color of the car.